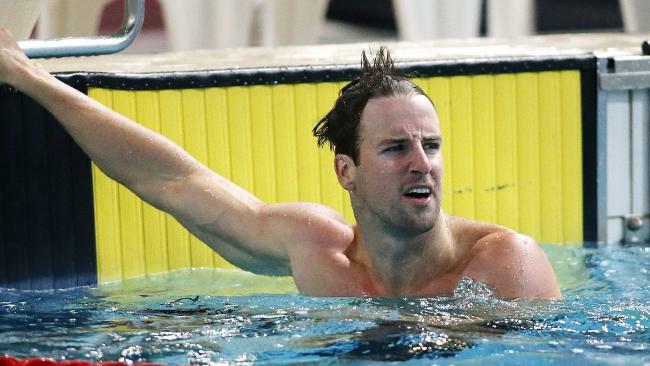 James Magnussen says he will be trying to prove something to himself at the Commonwealth Games. THERE'S been no bells and whistles in James Magnussen's swimming comeback - and that's exactly how he likes it. April's Commonwealth Games has been the dangling carrot throughout a long return from a shoulder reconstruction. And a fortnight out from this month's trials, the dual world champion has plenty to prove against a crack 100m freestyle field featuring sprint guns Cam McEvoy, Kyle Chalmers and James Roberts, and in-form youngster Jack Cartwright. The difference this time is who he's trying to impress. "For me this Commonwealth Games is as important as any event I've ever done, purely because I'm trying to prove something to myself," Magnussen said. "At events in the past I've been trying to prove a point to the rest of the country, my sponsors, my family, my friends, and I've been able to do that. "But now it's really a personal battle." Part of that has been through necessity, given the 26-year-old's absence from the last two world titles and his failure to qualify in his pet event at the Rio Olympics, where he won bronze in the 4x100m relay. 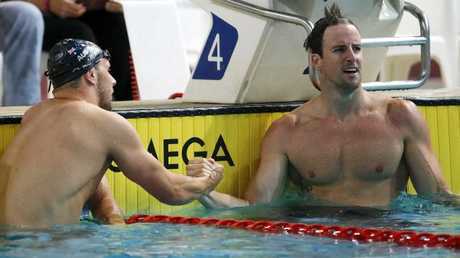 Kyle Chalmers congratulates James Magnussen after the 100m freestyle at the Queensland titles. It's still a welcome change from past stresses, like when a 21-year-old Magnussen crumpled under the intense pressure to win gold at the London 2012 Olympics. "It's been as quiet and relaxed a preparation as I've had since I was probably 18, and I'm really enjoying that to be honest," Magnussen said. 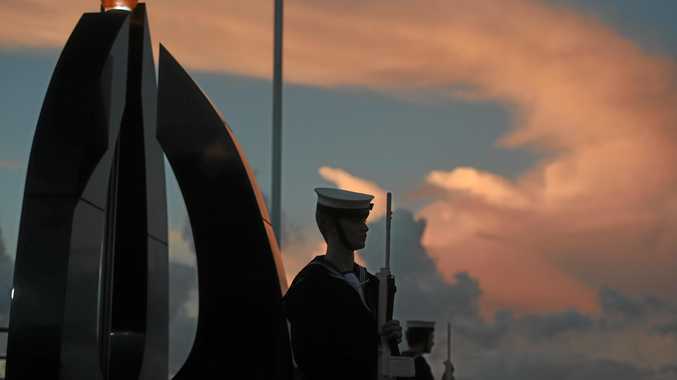 "No bells, no whistles, no fanfare, local pool. It's getting back to my roots and I've really enjoyed it. "I didn't get back to the heights I wanted to after that shoulder reconstruction so there's a little less pressure and expectation on me." Training has changed too, to cater for a slightly older body. Where he'd previously race flat out all year round, power has been contained in order to peak just in time for the trials and Gold Coast Games, though he can feel his back-end speed returning. Magnussen rounded out his preparations three weeks ago with a second placing to McEvoy at the NSW state championships. He's yet to crack the 49-second barrier this season but did beat McEvoy, reigning Olympic champion Chalmers, Roberts and Cartwright in Queensland in December to set up a hugely competitive 100m contest. While embracing his underdog status, he's also banking on big-stage experience as the quintet battle for three spots on offer. "They're going to push me to my limits ... and it's nice to be chasing other people rather than being the hunted," Magnussen said. "I think the limit's still ahead of me. "I know I'm probably a veteran of the swim team now but there's always days in the pool where I feel better than I have in the past, and that really excites me and spurs me on."